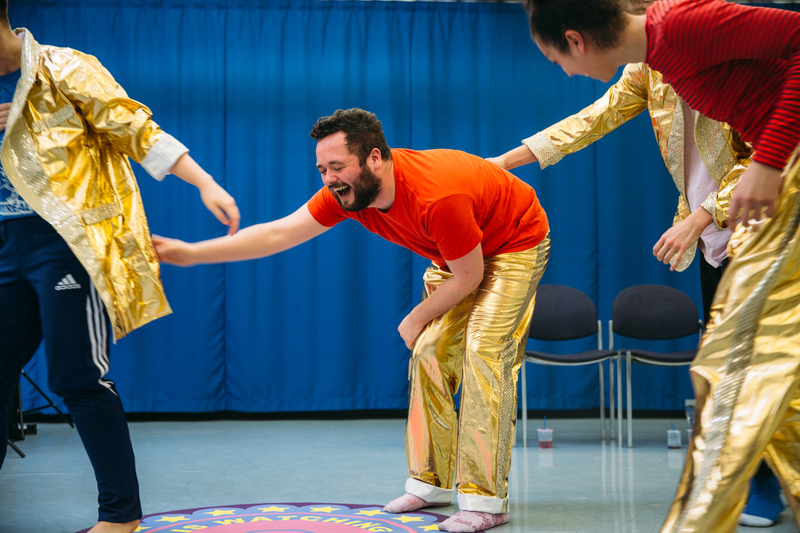 FEELS will be a new performance for ages 10+ about how we express ourselves. Set at a surreal disco, it is an investigation into dancing, gender, and emotions – the feelings we’re allowed to feel, the ones we’re told not to feel, the ugly ones, the funny ones, the sad ones. The feelings that we’re told don’t belong to us yet, or never will. The feelings that are ‘for girls’ or ‘for boys’. It will investigate how we dance, how we express emotion, and how these things relates to our performance of gender, and to the social constructions of childhood and adulthood. FEELS is being developed through Imaginate’s Accelerator programme. The first stage of development was also supported through a residency with The Work Room and Platform, in collaboration with deviser/performers Aby Watson, Mark Bleakley, Claricia Parinussa and Craig Manson, performer/sound designer Greg Sinclair, and designer Mamoru Iriguchi.